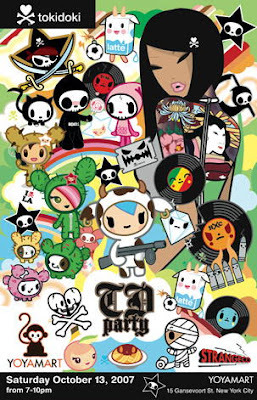 There will be show cases from Toy2r for display most updated products coming Fall 2007! plus more than 250 pieces of artworks from students andprofessional designers showing in this Exhibition. Bart Simpson Art Exhibition takes on the UKthis month. 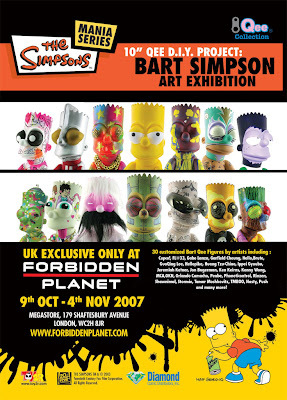 Toy2R and Diamond Comics are proud to announce that Forbidden Planet will host an exhibit of more than 50 customized Bart Simpson Qees. Its the one chance to catch the exhibit in the UK to viewthese amazing original creations. The promotional booths will bring new attractions to worldwide licensing industry players. 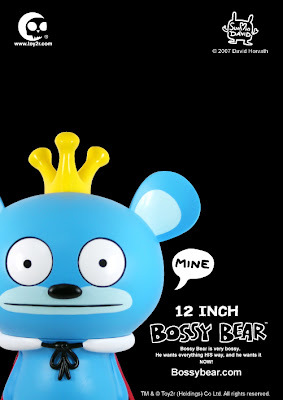 the presence of our figurines could showcase Hong Kong home-grown character designs and emphasis its strong potentials in generating licensing business opportunities.